I have been formally writing for about five years. It was about three years ago when I decided to actually write a novel and try to get it published. I have been reading epic fantasy since I was 12. I have always dreamed of creating the world's that Weis & Hickman created. 'Dreams of Azenaria' is my first novel. I finished it in late 2012' and published it in early 2013'. I spent about a month querying a few agents, then decided to self-publish. I have always been fascinated with epic fantasy. For most of my life, I was reading some kind of fantasy. I always had a book with me wherever I went. I never imagined I could create a fantastic world like the ones I read about. For 'Dreams of Azenaria', I wanted to create a world and characters that would not be seen as a copy of what has been done before. I am definitely inspired by the masters, but I hope I have created something original. Azenaria. Once a wonder of the world, the great city now stands blackened and dead. Her streets, once paved with gold, are now filled with the wreckage of crumbling buildings and the invading armies of nature. Deep beneath the ruin and decay, lies an ancient power that threatens the destruction of an ancient race known as O'orn. Only the three Ritchell men can decide the fate of the O'orn, but it will take three generations for the fight to be decided. Landar and his sons, Brevlin and Danshaw, have moved on with their lives years after their wife and mother died. When secrets from a generation past come back to haunt them, they are violently torn apart from each other. Separately, they must fight against an evil that not only wants to destroy them, but wants to undo the lives they have created. You will get lost in Azenaria - Pray you can find your way out. It is currently available on Amazon as an eBook and a Paperback. This is my first published book. My second book will be available next month. I will be writing and releasing many more. The worlds of Azenaria and O'orn are immense. List all of your titles. I plan to explore the world of Azenaria and O'orn for a long time. I do not foresee any unrelated projects in the near future. 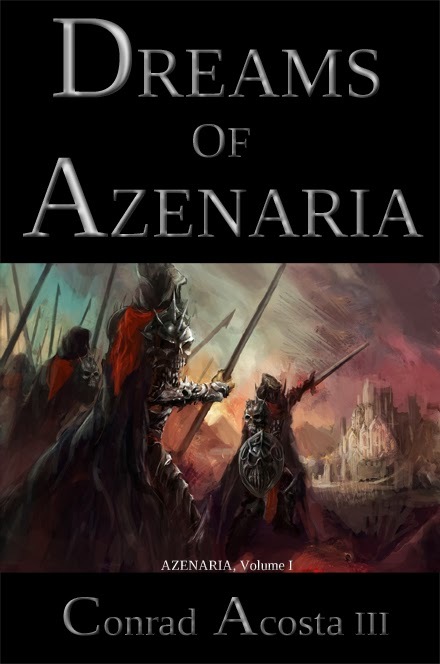 So much has happened in the past, and will happen in the future of Azenaria. I am currently wrapping up Volume 2: 'Memories of O'orn'. I can't say too much about it without spoiling Book 1. It continues the adventures of several of the characters in the past, present, and future. I have created an original world and characters with their own unique world, problems, desires, etc. No orphan farm boy looking for a magical sword that will save the world. No elves, dwarves, trolls, immortal wizards, etc. Readers will get lost in Azenaria. They will struggle to find their way out, but only after they find the answers that are required to save the O'orn. I am also writing short stories and articles from the world of Azenaria on my blog (azenaria.com/blog). These events are not included in the books, but are directly related to the history and the characters of the books. It is sort of like what The Animatrix was to The Matrix movies. Not required reading, but definitely explains a lot more of the history. 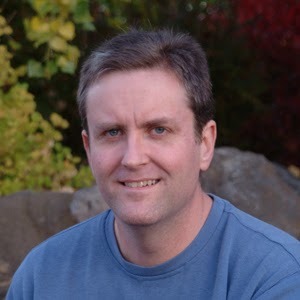 BLOG Writer's Note to Author: Your book sounds really interesting and I am definitely going to buy it once I finish posting this interview. Just like you I have been a strong reader of fantasy-type novels, which is what basically has inspired me to continue writing my "To Nowhere" series. I wish you the best of luck with your current book and the ones that will follow it. Who knows, maybe one day we might actually be able to tune in to a television program called: "Azenaria" based on your book. You just never know… Good luck and thanks for the interview.